The number of axe-heads and ceramic pieces made of obsidian (naturel volcanic glass) encountered around the Analipsis Peak on which the Yuksek (High) Church is located show that region must have been inhabited in the Chaloclithic Period. Over time the area has seen Hittites, Persians, Cappadocia Kingdom, Romans, Byzantines, Seljuks, Ottomans and Turkish Republic. From the beginning of history the area has also been setting for many different religions. Christianity, which was introduced to the region by St. Paul, met much resistance in the early years. Until it was accepted by the Roman Empire as an official religion Christians hid themselves in places like Guzelyurt and its environs, the Ihlara Valley and Soganli. The ideas put forward by St. Gregory of Guzelyurt ans basil of Kayseri led in time to the foundation of the Orthodox denomination; connected to this was the foundation of the first monastery in Guzelyurt. The “Iconoclastic Movement” began as a reaction to the Roman pressure over religion. At this time the religious system proposed by St. Gregory was so powerful that the region was not affected by these actions and those Christians against the Iconoclastic Movement found protection here. Guzelyurt, located 45 km to the east of Aksaray has survived from its foundation, with some changes, to the present day. It was originally known, in the Roman and Byzantine periods, as Karaballa. In Seljuk times the name was changed to Gelveri came under the rule of the Ottomans. The inhabitants were part of the population exchange in 1924. In the 1960′s the name was changed from gelveri to Guzelyurt and in 1989 it was made into an administrative district. 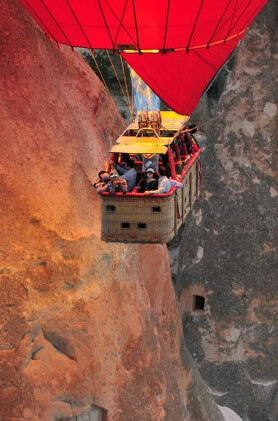 Guzelyurt and its environs bring togother all that is special about Cappadocia. The Monastery valley, 5,5 km long, is bordered on both sides by high rocks, ic covered in willow trees and a river runs through it. Within there are many churches, rock cut residences and settlements, both above and below ground. The 14 km long Ihlara Valley is within the borders of Guzelyurt. 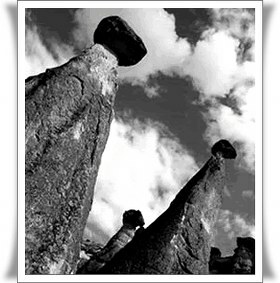 There are many fairy chimneys located at the Analipsis Peak where the Yuksek (High) Church is, and at Selime and Yaprakhisar. Located at an altitude of 1485 m in the foothills of Mount Hasan Guzelyurt boasts a mountain plateau climate and is famous for its recreation spots that offer different colours in each season. Amongs the important buildings in Guzelyurt are its churches including St. Gregorios Theologos Church built for the founder of the Orthodox faith ST: Gregory in 395 A.D , and the churches of Sivisli, Yuksek (High), Saint Anargiros (Bucak), Kizil (Red), Koc (Ram), Komurlu (Charcoal), Kalburlu (Screened), Comlekci (Potters), Azizler Dami, cafarlar, Kulluk (Adoration) plus lots ofunderground cities and the Acropolis and civil architecture.